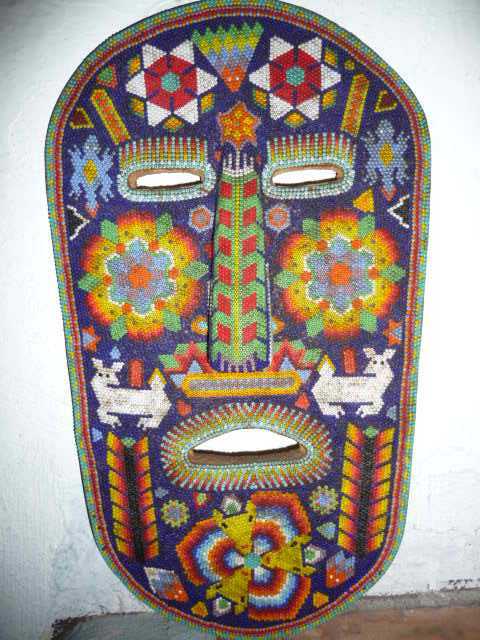 A large selection of Huichol arts: yarn paintings, prayer bowls, alebrijes (handcrafted fantasy figures) from Oaxaca, masks, and beaded sculptures of such revered animal figures as deer, iguanas, turtles and tigers. The owners of this Puerto Vallarta art store have extensive knowledge of arte Huichol, Indian art and their culture. One of the best stores for indigenous native handicrafts or artesanias, and known for its personal attention by Hilda and her family. Mon-Sat, 10am-9pm; Sun, 10am-3pm. 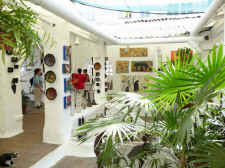 One of the newer major art gallery in town, with very contemporary Puerto Vallarta artwork, paintings and bronze statues. Representing well-known and avant-garde Mexican artists such as Cecilia Garcia Amaro, Marilo Carral, Jesus Cantu, Abelardo Favela, Irma Griza, Meg Munro and Lucille Wong. Four new artists have recently joined the talented list at Contempo: Yoel Diaz Galvez (originally from Cuba), Alejandro Mondria, Luis Carlos, and Miguel Lopez Vazquez. An impressive and excellent collection on two levels. 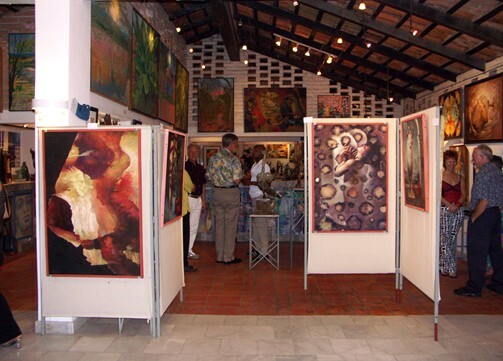 Contempo Gallery is located across Basilio Badillo from the Galleria Dante at the corner of Ignacio Vallarta street. Same owner and location as the old Adobe cafe. 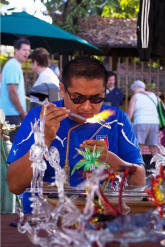 Friendly and knowledgeable service with owner Rodolfo Choperena Tiemann, who worked at the Dante gallery for 5 years. Mon-Fri, 10am-2pm and 4pm-8pm; Sat 10am-2pm. The Galleria Dante specializes in original works by contemporary sculptors and recasts of well known bronze statues as well as quite a large collection of paintings. More than 55 artists from throughout Mexico including Hector Buiges, Guillermo Brockmann, Oscar Capache, Gabriel Colunga, Rogelio Diaz, Guillermo Gomez, Jonás Gutiérrez, Juana Cortez Salazar, Rocio Sanchez and gay artists Jean-Gabriel Lambert and Alvaro Zardoni. An eclectic and interesting collection by Claire and Joe Guarniere, two of the more respected members of the local art community. Since 1995. Includes a painting and sculpture garden and fountains. 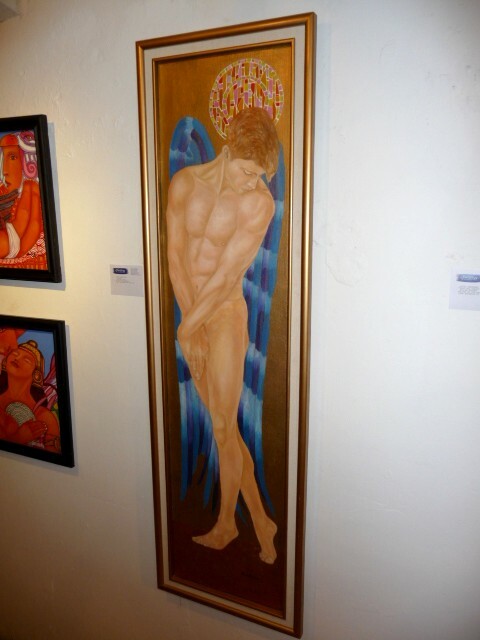 In my estimation among the most vibrant and best of all Puerto Vallarta art galleries. Galleria Dante opening night showings during the winter months, 6pm-10pm. Closed off-season summer months Jun 1-Oct 1, by appointment only. Vonage: 269-282-9550. Mon-Fri, 10am-5pm. 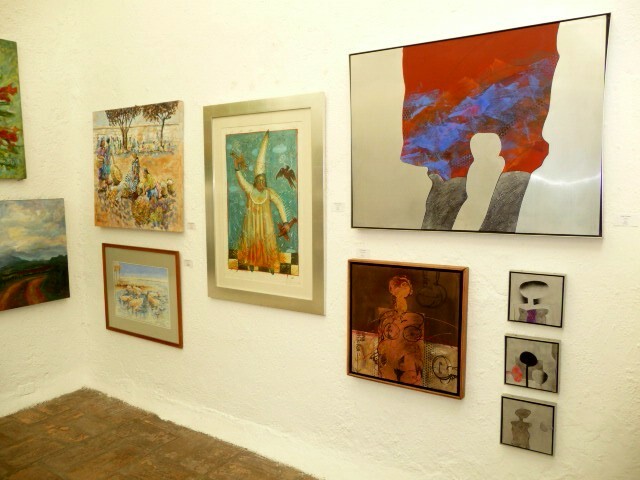 Contemporary fine Mexican art exclusively, with one of the largest and more impressive collections of paintings, sculpture and art objects in town. Representing such artists as Ada Colorina, Manuel Felguerez, Ana Fuentes, Rosario Guillermo, Ulices Licea, Diego Luz, Jorge Marin and Fabio Shiro among many others. Founded by partners Jean Pierre Renucci and Jose A. Villavicencio in 2002 and "dedicated to the promotion of contemporary Mexican artists". Galeria Corsica galleries also in Punta de Mita and San Jose del Cabo. To see more info and pictures. Mon-Sat, 10am-9pm, except Weds open until 10pm. PV art store with an extensive collection from various indigenous cultures of Mexico: dance and ceremonial masks, handcrafted Oaxacan black clay pottery by Zapotec indians, unique Day of the Dead items in ceramic and paper mache, sacred Huichol Indian bead and yarn work, hand blown glass, Nahua Indian lacquer art from Guerrero, religious arts and figures, majolica pottery from Tlaxcala and talavera ceramic pieces from Puebla with some 800 designs, Mata Ortiz pottery, as well as extraordinary bark paper etchings by internationally-known Nahua artist Nicolas de Jesus. The Indigena gallery is one of my personal favorites for gifts. More info and many photos. Mon-Fri, 10am-8pm; Sat, 10am-6pm; Sun, 11am-3pm. Beautiful Mexican pottery from the village of Mata Ortiz in the state of Chihuahua, Mexico (see two photos at page bottom) made in the same manner as the inhabitants of the ancient city of Paquime 500 years ago. These beautiful polychrome ceramics with their meticulously crafted designs reflect much of the pre-Columbian culture's mythology, with modern designs and style, and the Galeria de Ollas (since 1998) has a great selection, some of the best in town. Mon-Fri, 10am-2pm and 4pm-7pm; Sat 10am-2pm. 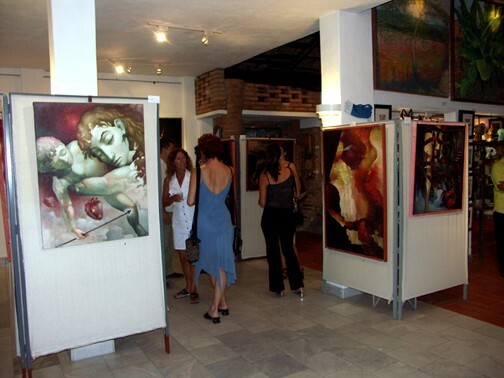 This gay-owned Puerto Vallarta art gallery has mainly dedicated its space to antique and contemporary photography, engraving and sculpture. Photos and pieces have been displayed by artists such as Anderson & Low, Flor Garduño, Gabriel Figueroa, Michal Macku, Rodrigo Moya, and Luis Gonzalez Palma from Guatemala, one of the most successful Latin American photographers today. Galeria Omar Alonso is across the street from restaurant Cafe des Artistes. Mon-Fri, 11am-9pm. 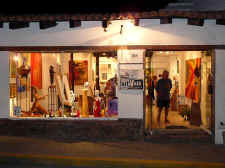 One of the leading Puerto Vallarta art galleries since November 1987. Mexican art with an emphasis on local painters such as Marco Alvarez, Hugo Barajas, Brewster Brockmann, Alfredo Langarica, David Leonardo, Laura Rubio, and sculptor Ramiz Barquet (1920-2010), whose splendid work "Nostalgia" is one of the main pieces on the malecon. Another of Barquet's statue, "El Pescador" (the fisherman), can be found in the little square on Insurgentes Street near the main municipal/flea market. Galeria Pacifico is recommended by Frommer's and Fodor's guides to Mexico as among the best in the country. Sculpture, paintings, graphics and posters. Respected owner Gary Thompson. See below for details about the walking art tour of the malecon sponsored by the Pacifico gallery. Mon-Sat, 10am-8pm. 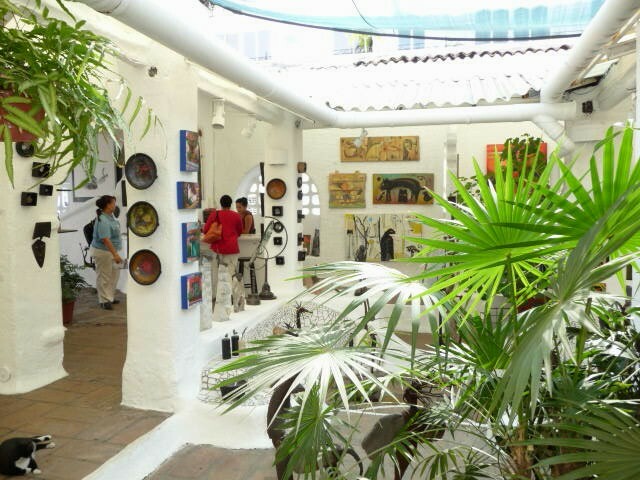 Now with over 40 years at the same downtown location, Galeria Uno is the oldest Puerto Vallarta art gallery. Showcasing works by over forty famous Mexican and international artists such as Manuel Adria, Alejandro Colunga, Francisco Curiel, Alberto Fregoso, Raymundo Gonzalez, Stefan Lokos, Manuel Martinez, Luz Elena Moreno and Jesus Lopez Vega, to name just a few. An eclectic and fine collection of paintings, posters, graphics and sculptures; Galeria Uno is recognized as one of the best and most interesting galleries in the city. Since 1971. Mon-Sat, 10am-8pm. Decorative items, art and Mexican antiques. 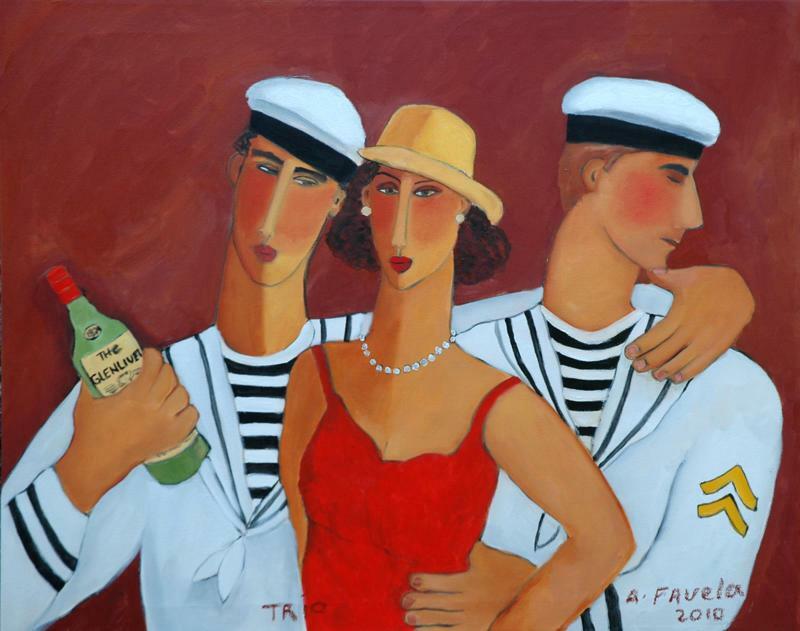 A nicely displayed collection of paintings and sculptures represented by Diego Rivera, Rafael Coronel, Feliciano Bejar and Evelyn Boren, among other traditional and modern artists, including famed local painter Marta Gilbert. Located across the street from the highly-acclaimed Vallarta restaurant Café des Artistes. Mon-Sat, 11am-11pm. 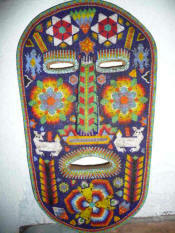 Opened in 1978, Olinala is the most established and oldest folk art-ethnographic gallery in PV. 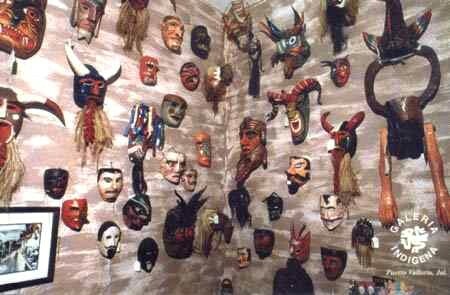 The masks in their collection are ritual objects that have been worn in ceremonial performances from various ethnic groups in Mexico, many from the southern states of Michoacan and Guerrero. 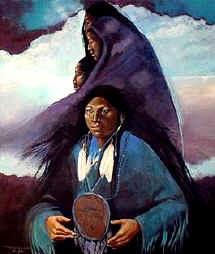 They embody the magic, mysticism and religion of the cultures which produce them to define the fervor and vigor of their respective communities. 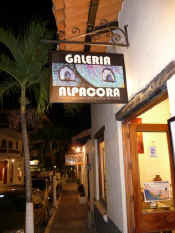 Over the years Galeria Olinala has had high ratings in respected travel guide books such as Fodors and Frommers. Owned by well-known local sculptor Brewster Brockmann. Mon-Fri, 10:30am-3:30pm. 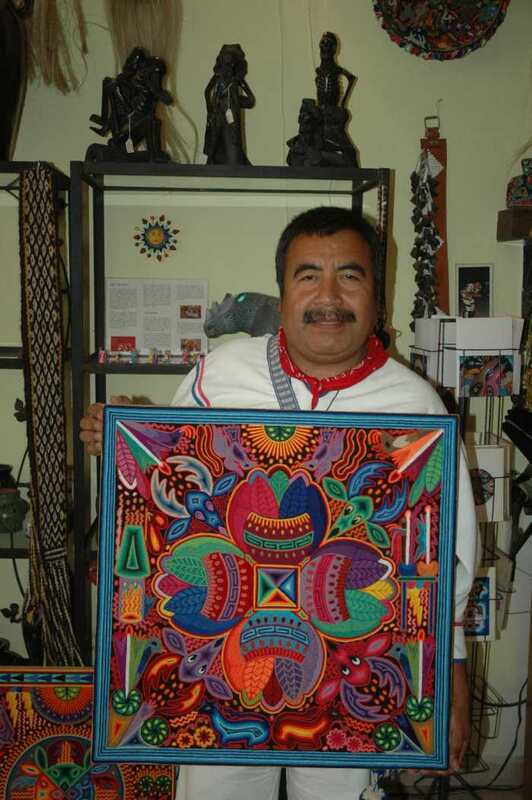 Fine selections of Huichol yarn paintings and the bead art of these indigenous peoples of the Sierra Madre Mountains in Western Mexico. Peyote People is a fair trade co-operative gallery/museum based in Puerto Vallarta that provides most of the carvings to the artists, as well as new iridescent glass beads that are imported exclusively into Mexico for their craftsmen to use in their ethnic folk art and crafts. Visit Peyote People - Huichol Indian Folk Art for a good read into the people, culture and the Huichol Indian ceremonial cycle. 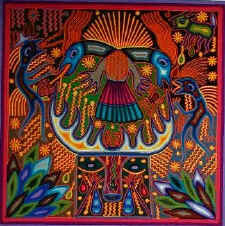 This page at Mexconnect Huichol people, culture, symbolism, art has very extensive info and links. 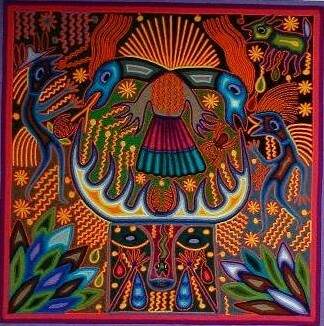 Peyote People features such artists as Santos Bautista, Hilaria Chavez Carrillo, Luis Castro, Santos Daniel Carrillo Jimenez (see photo left), Mario Moreno, Neikame (Jose Carrillo Morales), Pedro Mendoza, and Luis Ruiz Ramirez. Friendly service with Kevin Simpson. Mon-Fri, 10am-8pm; Sat and Sun, 10am-6pm. Unique works at the Loft Gallery by Carmen Alarcon, Javier Arevalo, Marianela de la Hoz, Rodolfo Morales, Norma Pardo, Fernando Sandoval, Francisco Toledo and many other fine artists. Contemporary paintings, sculpture, photography and works on paper by emerging, mid-career and recognized masters of The Americas. Established by Ruben Cham and John C. Strawn. Independent art dealer and advisor John Strawn will assist individuals and corporations in developing and rounding out their collections. Mon-Fri, 11am-6pm; Sat, 11am-3pm. International art, sculpture and decor with some unique items from all over Africa. Mon-Sat, 10am-8pm; Sun 11am-4pm. Galeria Nativa - South Side - 268-B Francisco Madero. 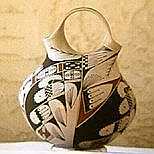 Authentic native Indian art: hand painted gourds, ceremonial and contemporary masks, figures, Huichol indian art. Travel Note: Unfortunately the Great Recession has not been kind to some of Vallarta's art galleries such as Ambos, Ana Romo, Arte 550, the Jalisco Institute of Handicrafts, 8 y mas, Galeria A.L. Arte Latinoamericano (which had been around since 1998), Artesanias Flores, Galeria Corona, PV Santana, and gay-owned galleries T. Fuller Fine Art, Galeria Sol y Luna, Miralo, and Quadro, among others, who have had to close their doors these past few years. A number of new ones including Colectika, Contempo Galleria, Galeria Rodo Padilla, La Pulga, Sheol, and Tierra Huichol have come along to add to the active, colorful and lively art and culture scene in Puerto Vallarta. The information noted in this Gay Travel Guide was considered accurate when posted but changes can and do occur, so you may want to confirm details directly with the businesses in question before planning your time out and around town. 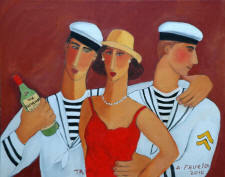 You can call for your private viewing of Puerto Vallarta artist Meg Munro at her studio. Weds, 10am-7pm. A local resident for over 25 years, she has recently started exhibiting her watercolors at the Contempo Galleria. Theater, cabaret and piano bar. Vallarta's new theater company, with the mission of providing to "Puerto Vallarta residents and visitors the opportunity both to attend and to participate in quality theatrical and musical productions. We strive for community inclusion and excellence in all aspects of production, with the goal of developing local talent to the maximum extent possible, as well as presenting national and international performers." Another significant cultural asset by the local straight and gay community. Their annual programming includes: Main Stage musicals and plays, Red Room cabaret shows, and the Encore piano bar. The 2014-2015 season includes: Luna Rumba world class fusion, Jan-Mar; Broadway Baby starring Miss Conception, Monday at 7:30pm; Kim Kuzma every Sunday at 7:30pm and every Weds at 9:30pm; Dame Edna, Dec 27-Feb 14; the extraordinary play Equus by Peter Shaffer, Weds-Sat at 8pm; Forever Plaid the heavenly musical, Feb 26-March 14; The Voice of Vallarta, presenting some of the town's best vocal talent, every Sunday at 8pm, Dec 7-Apr 12; Forever Elvis with Rob Knight; Divas, a one woman show with Bonnie Kilroe, Feb 27-Mar 10; and also Banderas Bay Jazz all stars, Jason Brock, the Golden Girls live, Lorna Luft, Joelle Rabu, The Kinsey Sicks and many others. Act II is located at 300 Insurgentes Street at Basilio Badillo on the South Side, 2nd floor and above Wing's Army restaurant. Check the Act II facebook for plenty of info. Box office daily, 11am-10pm. The ever-popular Old Town Art Walk this year (22nd anniversary year in 2018) has 12 participating Puerto Vallarta art galleries which host complimentary cocktail receptions and expositions on Weds nights from 6pm-10pm during the high season winter months starting this year October 31, 2018 until May 29, 2019. People will wander from gallery to gallery in search of art, conversation and the perfect glass of wine. This is undoubtedly a good way to meet some local Vallarta artists, see plenty of superb paintings, ceramics and fine sculptures, have an interesting evening out, and perhaps even make a few new friends. The galleries participating this year are: Caballito del Mar, Cafe des Artistes, Colectika, de Ollas, Galeria 108, Galeria Corsica, Lod, Man Made Mexico, Only One, OPC Oficina de Proyectos Culturales, Pacifico Gallery, The Loft Galeria, and Uno Gallery. Look for a map around town, at your hotel or in participating galleries. Main info here for this important city cultural activity: Vallarta Art Walk map. The ArtWalk Association also recommends these two restaurants for your dining pleasure while out and about in the Historic Center: Cafe des Artistes and The River Cafe. As Alex Gomez reported in the PV Scene Puerto Vallarta Artists Open Studios, from January through March a dozen Puerto Vallarta artists were allowing guests to visit them in their studios so they can be observed working at their art. Artists include Ada Colorina, Rogelio Diaz, Angeline Kyba Fernando Sánchez and Irere Topete. Open studios from 10am-10pm on January 23-24, February 20-21 and March 20-21. Theater Vallarta recently opened in March 2010. The auditorium of the Puerto Vallarta performing arts center has a seating capacity of around 960 people and has/will put on mainstream and avant-garde productions and presentations by Fandango, Vienna Strauss Orchestra, Get Back! Beatlemania, Presidance, Don Quixote by the Bolshoi Ballet, 3 Tenors, Bajo Cero, Jesus Christ Superstar, European Cabaret, Yuri, Snow White and the 7 Dwarfs, and a variety of other cultural activities. There's also Close Up Vallarta an International Festival of Video Creation, with categories of video art, performance, and experimental shorts. An offshoot of the Puerto Vallarta Theater will be a non-profit school which will promote art, dance, music and culture among children through its Fandango Foundation. Teatro Vallarta is located across from Ley supermarket, between Avenida Mexico and Peru street. Tickets are available at the box office: Mon and Tues, 11am-7pm and Weds to Sun, 11am-9pm. For further info visit Puerto Vallarta Theater/Teatro Vallarta for current and coming concerts, spectacles and dance. Now in their 20th year. 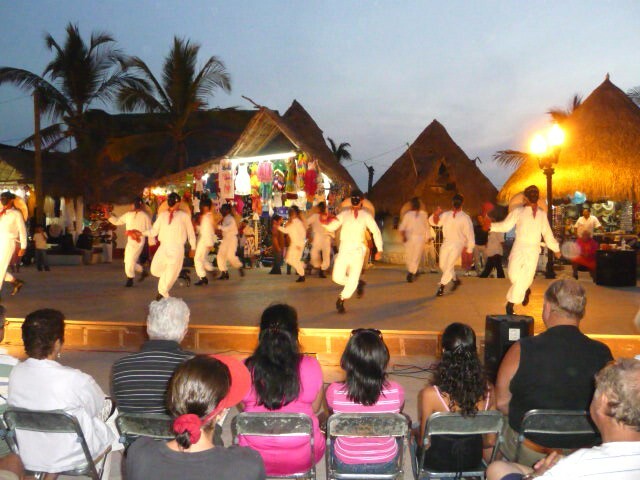 During the winter months the Xiutla Folk Dance troupe performs January through mid-April at Lazaro Cardenas Park on the South Side on Friday nights at 7:30pm (photo at right) and at the Los Arcos Amphitheater on the Puerto Vallarta malecon boardwalk Sunday evenings at 8pm. Further local info on the Xiutla Ballet can be found here at Visit Vallarta's Xiutla Folkloric Dance & Ballet Troupe and also at the Puerto Vallarta Scene -Xiutla Folkloric Ballet where there is a nice video from YouTube of them performing the Bolero de Rabel at Los Arcos amphitheater during the Art Festival in May. Don't miss these exciting dancers. The folkloric dance group has traveled and toured throughout the Americas, from Brazil to the USA and Canada, as well as in Europe. 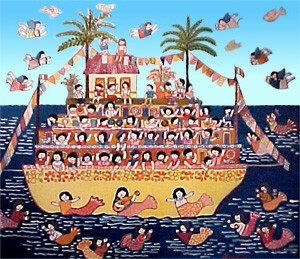 Xiutla was the first name of Vallarta and means in Náhuatl "the Place where the Vegetation grows".